Donations are tax deductible for U.S. members, since the Society is a tax-exempt organization with an IRS section 501(c)(3) tax status for donations. You can make a donation to The Gesneriad Society in someone’s memory or honor. You will have the opportunity to do this during the checkout process or on the mail-in form. Here is a brief description of the funds your donations will help support. The Frances Batcheller Endowment Fund is the Society’s capital fund, from which the Society draws to help with educational programs to benefit its members and gesneriad growers worldwide. The Elvin McDonald Research Endowment Fund (EMREF) is used to underwrite research grants for gesneriad researchers who seek a better understanding of the anatomy, physiology, relationships, distribution, growth and development, or the pests and diseases of gesneriads. The Nellie D. Sleeth Scholarship Endowment Fund (NDSSEF) provides scholarships to interested and deserving students of botany or horticulture. Scholarships are granted to students who seek a better understanding of the anatomy, ecology, physiology, relationships, distribution, growth and development, horticultural uses, or the pests and diseases of gesneriads. 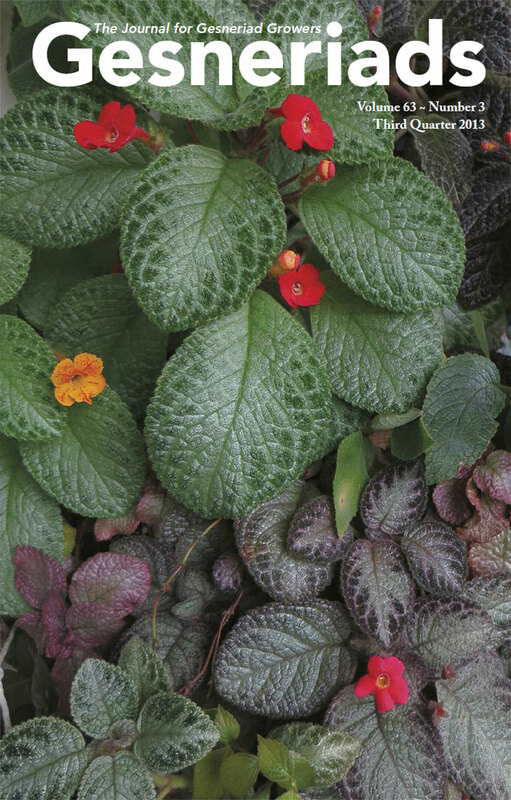 Students and Speakers Convention Fund enables the Society to offer convention grants to graduate and undergraduate students who are studying gesneriads and to offset the travel and lodging costs of speakers at the annual convention. The Conservation Fund enables the Society to make grants targeted to gesneriad conservation efforts around the world. Read more about these funds.